Established in the year of 2018, Mech Auto Parts is a well-known manufacturer, wholesaler and trader of Clutch Plate. 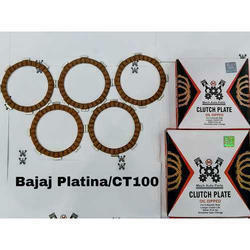 We are renowned organizations of market for presenting the optimum quality range of Bajaj Platina CT100 Clutch Plate, which is extremely employed in the industry. With honest intentions to improve the standing we have earned in this arena, we are offering a distinct collection of Honda Dream Neo Clutch Plate. 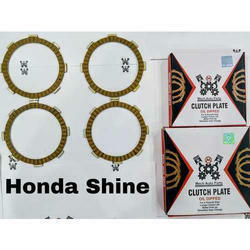 From our wide consignment, we are offering to our patrons an optimum class variety of Honda Shine Clutch Plate. 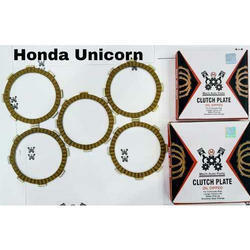 Keeping our synchronization with the development taking place in this industry, we are engrossed in delivering a broad range of Honda Unicorn Clutch Plate. 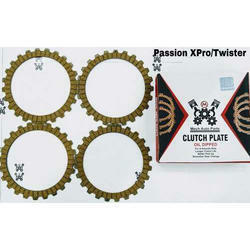 Due to our immense capability in this work domain, we have brought forth a huge variety of Pasion X Pro Clutch Plate. 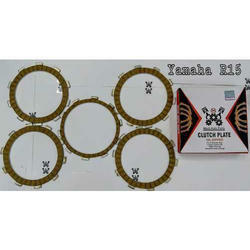 Justifying our reputation in this market, we are readily immersed in the arena of offering to our patrons a broad consignment of Yamaha R15 Clutch Plate. Comprehending the varied desires of our clients, we are instrumental in presenting a comprehensive range of Bajaj Platina CT 100 Clutch Plate. 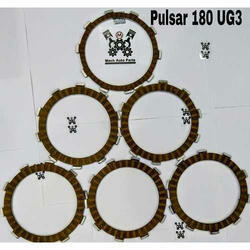 Supported ourselves with proficient amenities, we are readily instrumental in providing an inclusive variety of Pulsar 180 Clutch Plate. To furnish the varying desires of our customers, we are immersed in offering a world class consignment of Super Splender Clutch. 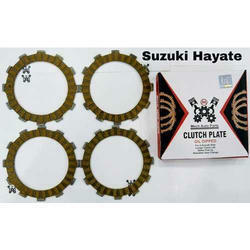 Having a positive quality management system, we are involved in presenting a comprehensive compilation of Suzuki Hayate Clutch Plate. 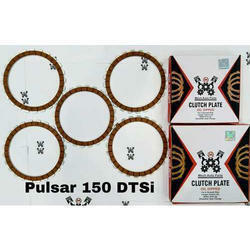 Backed by a rich industrial experience, we are engaged in offering a commendable array of Pulsar 180 DTSI Clutch Plate. 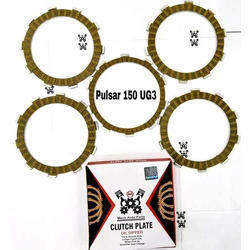 Having a definite quality management system, we are immersed in bringing forth a top class consignment of Pulsar 150 UG3 Clutch Plate. 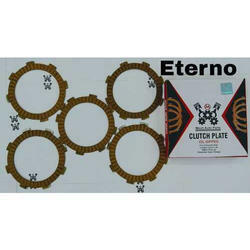 To supply the ever rising needs of our customers, we are occupied in offering a wide range of Eterno Clutch Plate. 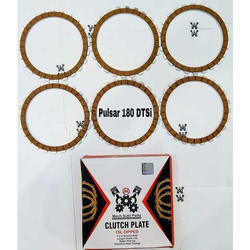 So as to furnish the ever-growing desires of our patrons, we are engrossed in delivering a comprehensive variety of Pulsar 150 Dtsi Clutch Plate. Capitalizing on the ability of our skilled personnel, we are keenly instrumental in delivering a comprehensive array of Bajaj XCD Clutch Plate. 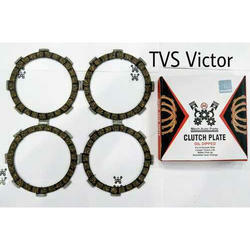 Supported by trained personnel, we are readily instrumental in presenting a comprehensive spectrum of TVS Victor Clutch Plate. 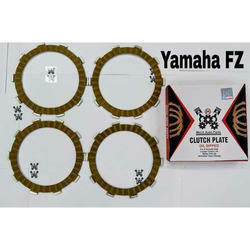 Reckoned amid one of the credible market names, we are willingly engaged in offering to our patrons Yamaha FZ Clutch Plate. 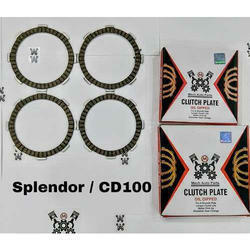 So as to accomplish high level of customer trust, we are keenly involved in offering Splender CD 100 Clutch Plate. We offer them at reasonable rates. 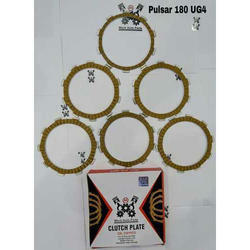 Fostered with enormous business understanding of this realm, we are involved in presenting a broad consignment of Pulsar 180 UG4 Clutch Plate.